Hudson Baby is a premium baby basics brand featuring stylish clothing, bath and bedding baby essentials. 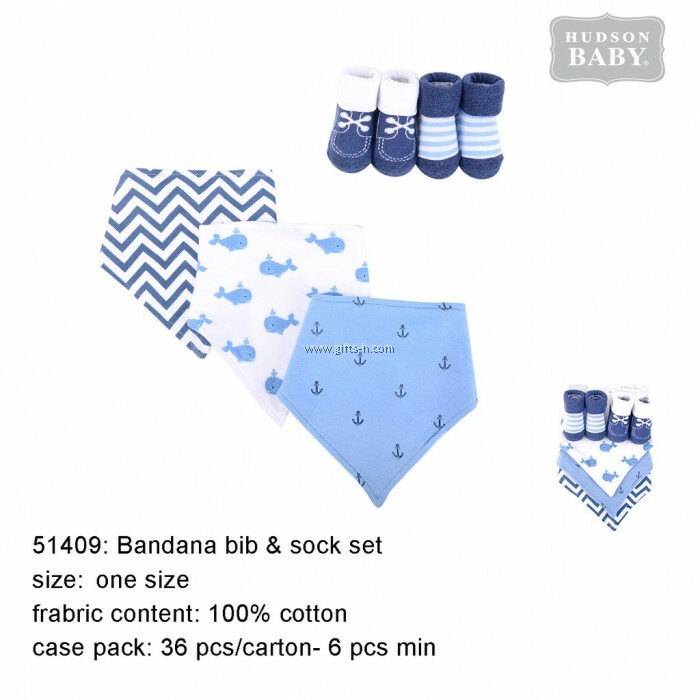 Hudson Baby 5-Pack Bandana Bibs & Socks Set are an adorable set for moms looking for fashionable matching bandana bibs and socks and a great baby shower gift. Each set features three bandana bibs and two socks with bibs made of cotton-poly blend and socks made of cotton, nylon and spandex. Each set features coordinated prints and patterns. Ideal for ages 0 months to 9 months.